Jacob son of Eyzekial married Susan Rushing and they had Jake, Nancy, Polly, Andrew, Margararitt and Sarah. Edd was my husbands father. The dates for generation one don't work. 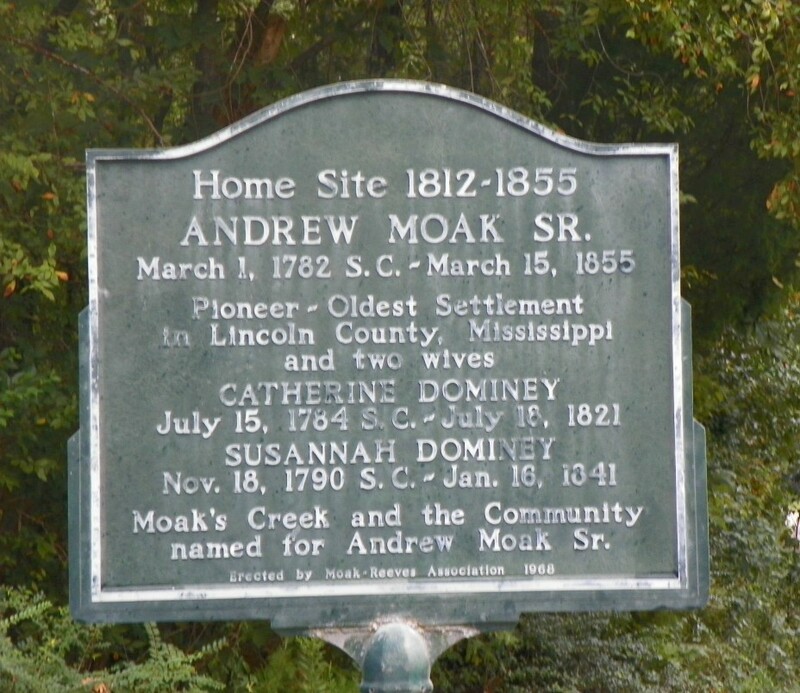 Andrew Moak-1 was born in 1715, died in 1759 married Susannah Dominey born on 16 Dec 1790, died on 16 Jan 1841. Thanks for the comments. I just went to ancestry.com and it seems many others have the same dates. I dont know how I missed the mistakes (along with others that are blind). This will be fixed shortly.